Today is world vegan day 2017! I was made aware of this a few days ago which i am thankful for because it means i had time to atleast make a post about this day and bring attention to this day. 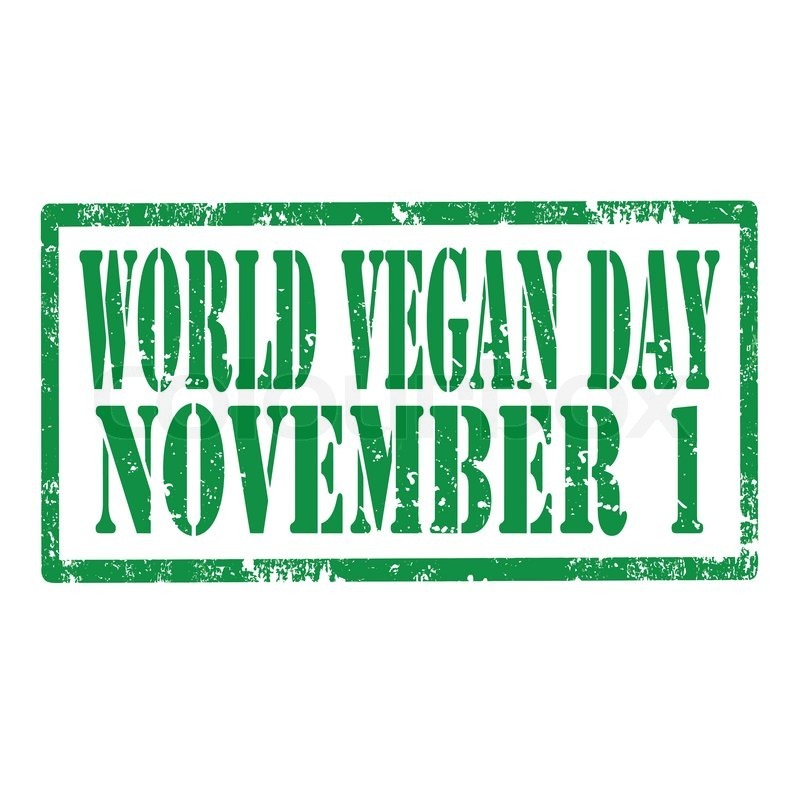 As it is World vegan day i think that all of my followers should at the least eat a completly vegan meal today… or make it a whole vegan day of eating (or from when you read this – maybe you have already eaten your usual non vegan breakfast?). Of course if you had planned a few days before it might have made it easier, but it really isn’t so hard to eat plant based and it can be a good challenge today! Eat some falafels or bean burgers for lunch, maybe make a pasta dish for dinner or some lasagna or what about a vegetable soup with bread? Or maybe just some roasted vegetables and baked tofu or a salad if you live in a warm country. Skip the eggs, skip the dairy, skip the meat. Instead find alternatives today….. if you are craving chocolate, then find a vegan chocolate to buy. If you want yoghurt, buy some soya or oat yoghurt! The least you can do is try. What about other things you can do today and in the future? I have a whole post with things you can read HERE , but i will list some below! You can skip the plastic bags and bring your own bags when food shopping. Ask questions. I know this can be scary and sometimes you don’t get the answer you want to hear, or even worse, people answer rudely and try to belittle you when you were just asking out of curiosity or because you wanted to know the answer. But dare to ask vegans questions, this is so that you can LEARN more and educate yourself, however you also have to be OPEN to the answer because it may not be what you want to hear. As a vegan, it can be frustrating to get asked a question and you spend time gathering the facts and information and answer in a correct way only to be disregarded and the person who asked the question just answers rudely and doesn’t even take in the facts or information. If you ask a question, be prepared to learn more and maybe hear an answer you don’t want or hadn’t thought you would hear. Donate to an animal charity or animal rights organisation. Just €5 can make a difference, i send a monthly as well as an annual donation to an animal rights charity and in all honesty its basically the same as 2 cups of coffee each month which i can definitely spare and the money goes to a good cause. I may not be able to do alot or donate alot of money, but a little can go a long way! Think about what changes you can make in your life right now. Maybe going 100% plant based or vegan isn’t possible but ask yourself, are there any changes i CAN make right now? Maybe as simple as buying soya milk instead of regular milk or eating only plant based lunches or maybe you can even make enough changes to eat completely vegan when you are making your own food but then eat meat/dairy when eating out or when offered food. Or maybe you can decide to eat only vegan snacks or breakfast. I am sure there are changes you can make now!! Also if you have any questions or topic ideas or vegan questions just comment below and i will try my best to answer! Next Post Are you eating what you want to eat or what Instagram wants to see? I didn’t know today is the World Vegan Day. But such a nice coincidence, because I prepared a vegan meal for lunch today: lentil pumpkin curry bowl with coconut water. And a lettuce as a side dish. Soooo good, satisfying, with just a little kick (because I hate too much spicy food). And the coconut gives it pleasant sweet flavour. Love it! I’ll try do that this weekend 🙂 Remind me if i dont hahah! I didn’t know it was world vegan day but I think its a great opportunity for people to try plant based food and think about what changes they can make. The animal testing companies are vast though – I never realised so many of the big brands tested on animals? Surely by now they should have come up with a different method of ensuring their products are safe to use? Ugh, I’m trying to eat plant based today and I already regret it.. I feel awful with no energy or concentration for my studies 😦 I want to be vegan for the sake of the animals but if I’ll feel like this it is not worth it for me. I don’t know what you ate but maybe you didn’t eat enough? Ask yourself why you feel energetic and can concetrate when you eat meat and dairy and why you don’t feel energetic when eating vegan…. because if anything, when you eat meat it takes longer to break down and turn into energy compard to more carbohydrate rich foods which give you energy quicker. But of course you body needs to adapt and it takes longer than a few days or a week, it can take up to amonth for your body to adapt. I would slowly make changes and eat more vegan. The only reason i can think that you don’t feel as energetic is if you only ate vegetables or raw food which don’t have alot of energy or if you ate very fiber rich food and you don’t normally eat alot of fiber i.e it will take alot of energy for your body to break down the fiber and give you energy. 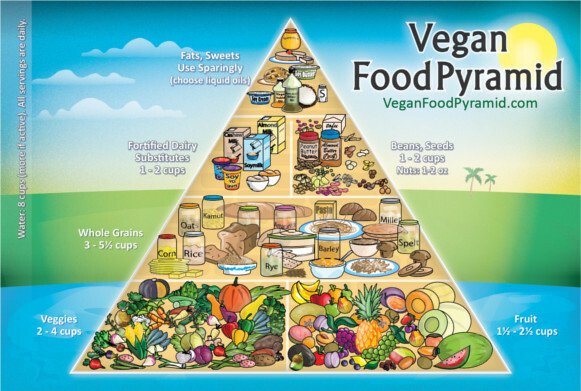 Since Oct. 30th to Nov 2nd I have had a completely vegan diet. More so for health vs. ethical reasons. I was thinking of going completely vegan for the month of November but now I am not sure. Currently I am pescatarian. I eat very little eggs and very limited dairy (sometimes ice cream, yogurt, or cheese) all of these have amazing vegan alternatives so for breakfast and lunch I am fine. Dinner is another story. I feel like my dinner is potatots, bean pastas etc. and I am really starting to miss my cans of wild caught salmon or tuna…too many carb type foods really make me feel weighed down and light headed…I eat my carbs (I need them to dance) but they certainly aren’t my favorite. Are there any sources of vegan proteins that are not carb-y besides tofu? Something similar to salmon? Or should I just eat salmon?